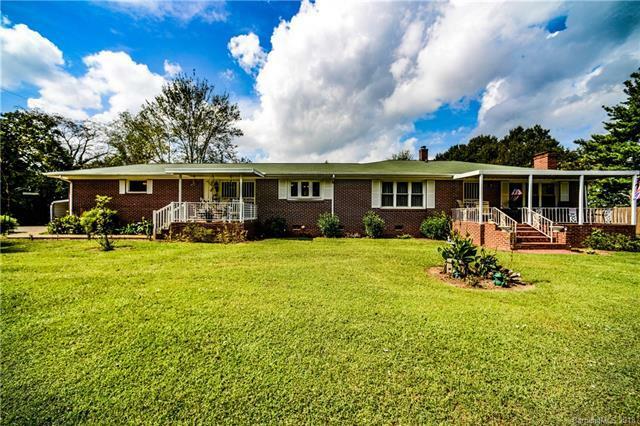 This beautiful full brick ranch style home is located on a huge level lot with over an acre of land. This home has 2 bedrooms, 2 full bath, bonus room, dining room, living room, den, kitchen, sunroom, and laundry room. This home is freshly painted and has lots of other upgrades including the kitchen and bath. Enjoy your evenings this fall sitting on the front porch enjoying the beautiful outdoors. This home is conveniently located close to I-85. Note, this home is being sold AS IS. Don't wait to schedule your showing today! Sold by Sellstate Choice Realty.